We understand that yoga can get expensive but SELF CARE needs to be a priority and the balance of input (nourishing that is) and output (where all our energy currently is going) is IMPORTANT! Starting today we are setting you up with some of our sweetest deals of the year. 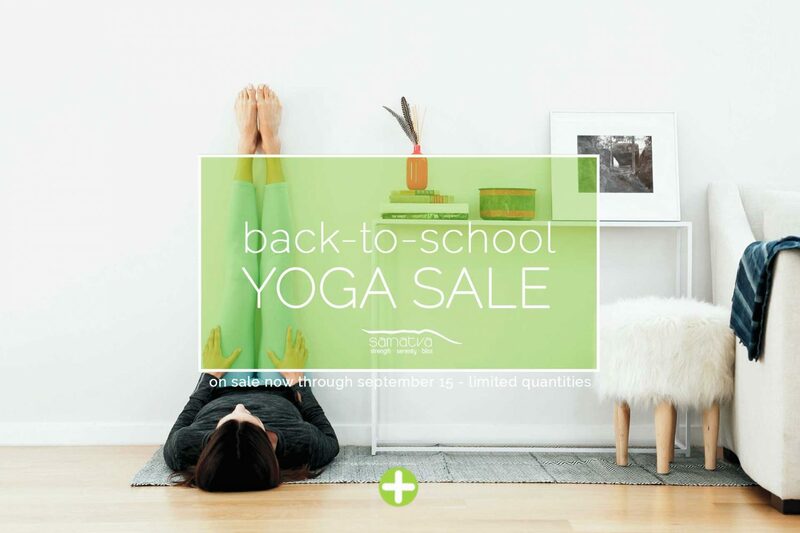 Please take a moment to read the terms of the sale (including use of Samatva $REWARDS and start/expiry dates) so you are in the know and then let’s get on our mats! Don’t Miss This! 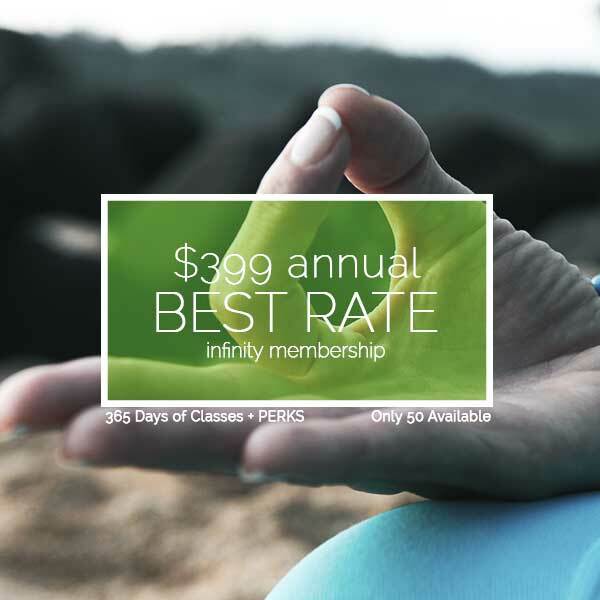 Samatva Yoga is offering a year of classes (Annual Infinity Membership) for $399. That breaks down to $33.25 per month ($74.75 less per month than our $108 Infinity Month-to-Month Membership). This is an auto-renewing membership with NO COMMITMENT. This means that you will forever have a $399 annual membership from year to year unless you choose not to – Cancellation is free + you do it yourself from your MBO profile. It’s that easy. Only 50 available @ this rate + Keep it FOREVER!! Upgrade Your Current Membership: Yaya, yoga for less! If you have a current Infinity Membership with us + would like to upgrade to this new rate there will be a $25 admin fee to do the adjustments. 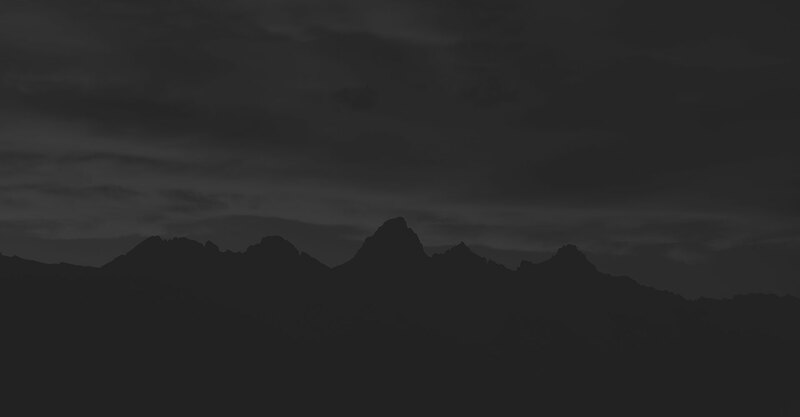 Be sure to cancel your old contract here: http://yogasamatva.com/pricing/maintain-your-infinity-membership/ Sorry, no refunds for membership charges in August, regardless of the transaction date. Existing Class Cards All class cards are non transferable/refundable + have expiry dates. These cannot be adjusted. Purchase Limit: Promotions are limited to one per person. You may purchase additional for gifts. Please be sure to indicate that you are purchasing for someone else in the process of the sale so it is applied to the proper studio account. Observe Expiry Dates: Promotions have expiry + activation dates. Thank you for making sure ALL the terms of the purchase will work with your yoga schedule. Activation for $399 Annual Infinity: All Annual Infinity Memberships will activate on September 1, 2018, no exception. Activation for all Class Cards: All class cards will activate on date of purchase, no exception.